Train in comfort in these Adidas Women's Ultra Shorts. 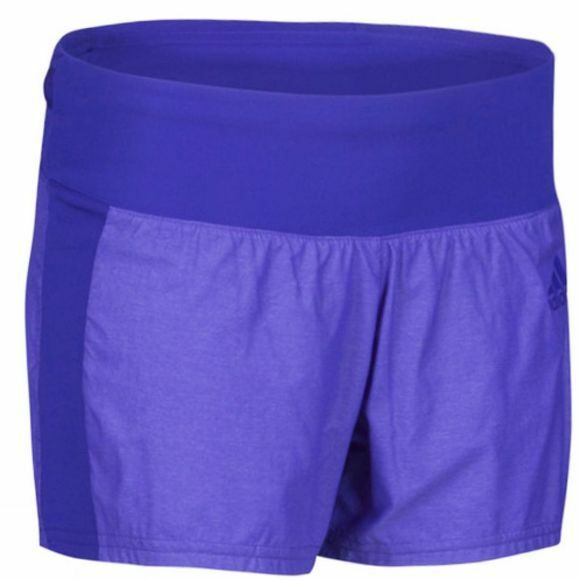 Made of climalite® fabric, these shorts pull sweat away from your skin to keep you dry and comfortable all run long. The Formotion® design and sculpted waist allow for a natural, chafe-free range of motion no matter how long you run. Formotion® garments use pre-shaped 3D silhouettes that allow great freedom of movement while you exercise. Many features such as sculpted openings at collar, waistband, hem, arm openings, cuffs & leg openings combined with specific fabrics, constructions and ideal seam placement result in optimized fit and comfort. Climalite pulls sweat away from skin and moves it to the outside of the fabric, where it can evaporate quickly.